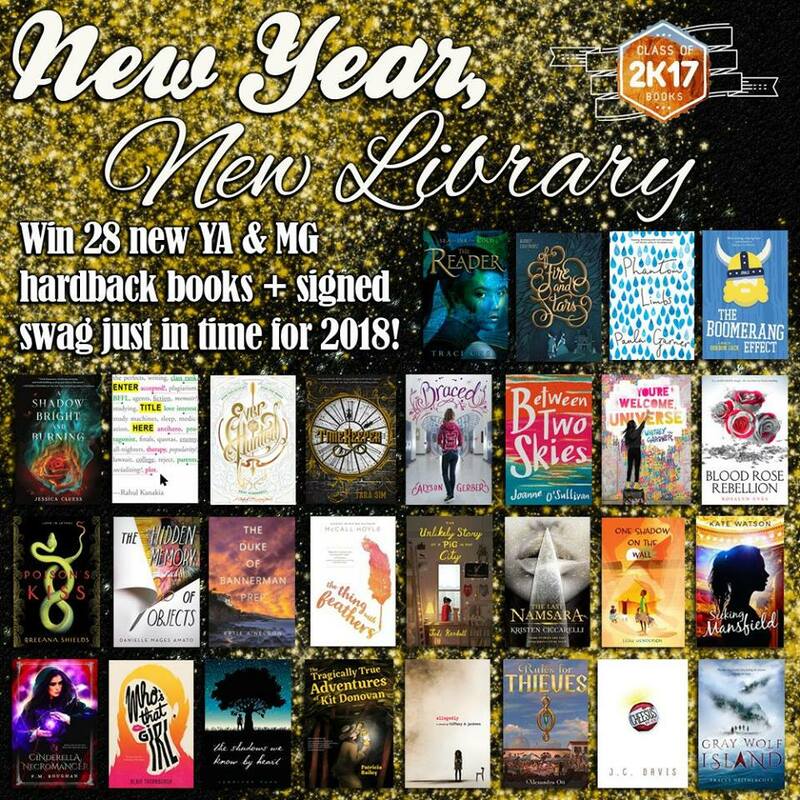 Class of 2k17 Books New Year, New Library Giveaway! It’s time for another Class of 2k17 GIVEAWAY! This time we’re giving away a huge prize package! Start your year with a library full of books. We’re giving away 28 Middle Grade and Young Adult books and swag signed by the authors. Click here to enter to win this awesome prize package! I’m so thrilled to share my blog space with Julie Leung this week. Julie is the author of two of my favorite middle grade books: A Tail of Camelot and Voyage to Avalon – both part of her Mice of the Round Table series. 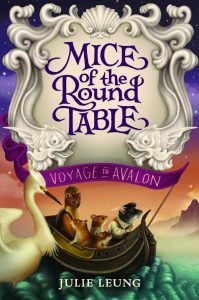 Julie’s latest book is Mice of the Round Table: Voyage to Avalon. Young mouse Calib Christopher has nearly completed his training to become a squire to the Knights of the Round Table when news of a deadly plague comes to the castle. Soon all of Camelot is showing signs of the illness, animals and humans alike. Desperate to find a cure, Calib and his friend Cecily set off on a treacherous voyage to find the mythical, healing island of Avalon. Perfect for fans of New York Times bestselling series like Wings of Fire and Warriors, Mice of the Round Table brings to life a legendary world of animals and magic that kids will want to return to again and again. I asked Julie to speak with you about the historical roots of her latest novel. Plague: In Book 2, Camelot is beset by a mysterious illness that sweeps the castle like wildfire. Both animal and humans fall sick and no one can determine the cause, leading to panic and fear among Camelot’s inhabitants. Much like the plagues that ravaged the European countries in the Dark Ages, this disease operates as a silent and insidious foe. It is an enemy with no army and no face. Feverfew: When the sickness first reaches the castle, Camelot’s healers, both human and animal, rely on a tea brewed with feverfew petals to help ease some of the symptoms. Feverfew is a real plant, a member of the daisy family, long thought to have medicinal effects. Dating back to the first century AD, it has been used to reduce fever, treat arthritis, and stomach problems. In terms of modern medicine, however, it is now only used as an herbal remedy to prevent migraines. Vikings: A large part of the book will take place on the high seas, as our rodent heroes seek the healing realm of Avalon. Their aim: Find a cure for the plague. Along they way, they will encounter a new species of snow-colored pine martens I modeled after the ferocious Vikings of old. Much like their creature corollaries, these Norse seafarers raided and traded through Europe during the 8th to 11th centuries. When they were most active along the coastlines of the British Isles, they were a fearsome force to be reckoned with. Ley lines: Avalon’s whereabouts are a mystery in the beginning. However, Calib and company discover important clues to its location using ley lines. Ley lines refer to the alignment of many ancient monuments, including the stone circles at Stonehenge. There are some who believe that the alignments mark a network otherworldly energy lines that criss-cross the globe, and that the ancient druids built their stone circles at key points along the lines to enhance their magic. Triskelion: The inhabitants of Avalon all bear a mark on their skin modelled after triskelion, a triple spiral conjoined together. It is a symbol found on carvings throughout Neolithic Europe, including Newgrange in Ireland. It pre-dates even the Celtics, though it has now been adapted into Celtic and Christian imagery. The original meaning has been lost to time. But in my story, I imagined a magical origin. 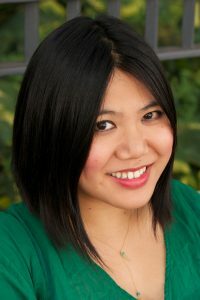 JULIE LEUNG was raised in the sleepy suburbs of Atlanta, Georgia, though it may be more accurate to say she grew up in Oz and came of age in Middle-earth. She works in book publishing as a digital marketer. In her free time, she enjoys furtively sniffing books at used bookstores and winning at obscure board games. Her favorite mode of transportation is the library. Julie is generously giving away a set of books. 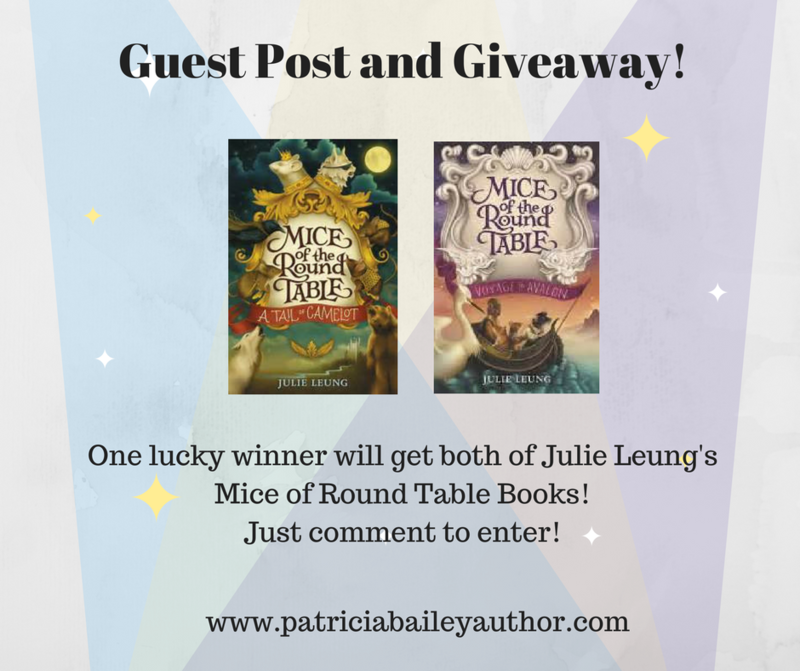 Comment below for a chance to win both of Julie’s Mice of the Round Table books. Winner will be chosen at random on November 3 and announced here! We have a winner! Congratulations, Gwen Katz! The books will be making their way to you soon. Thanks for everyone who entered. And thanks again to Julie for guest posting and offering her books for the giveaway! Class of 2k17 Books Fall Giveaway! 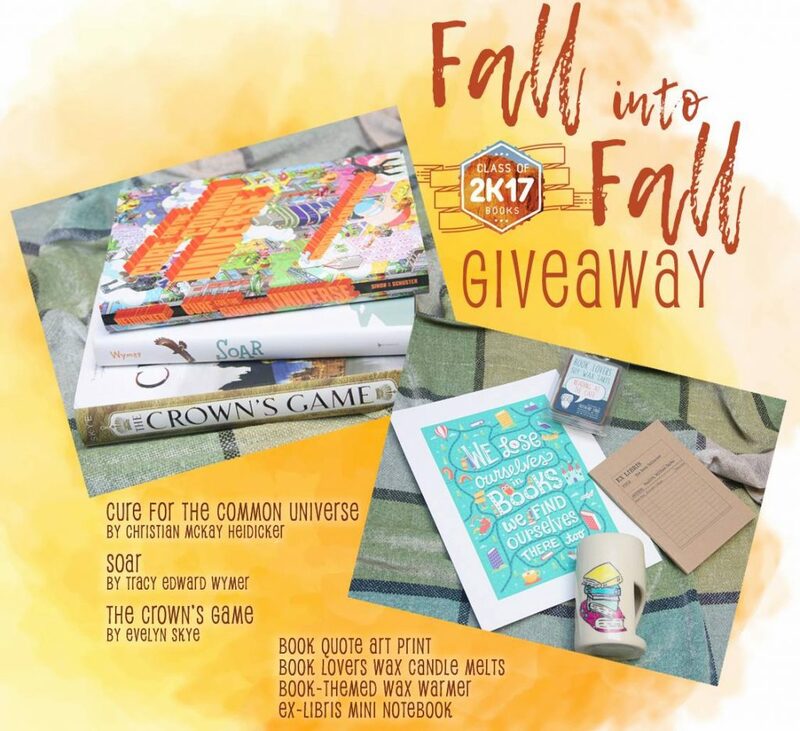 This time we’re giving away a prize package that contains some awesome Class of 2k16 books and some really fun bookish gifts that are perfect for the crisp fall weather. 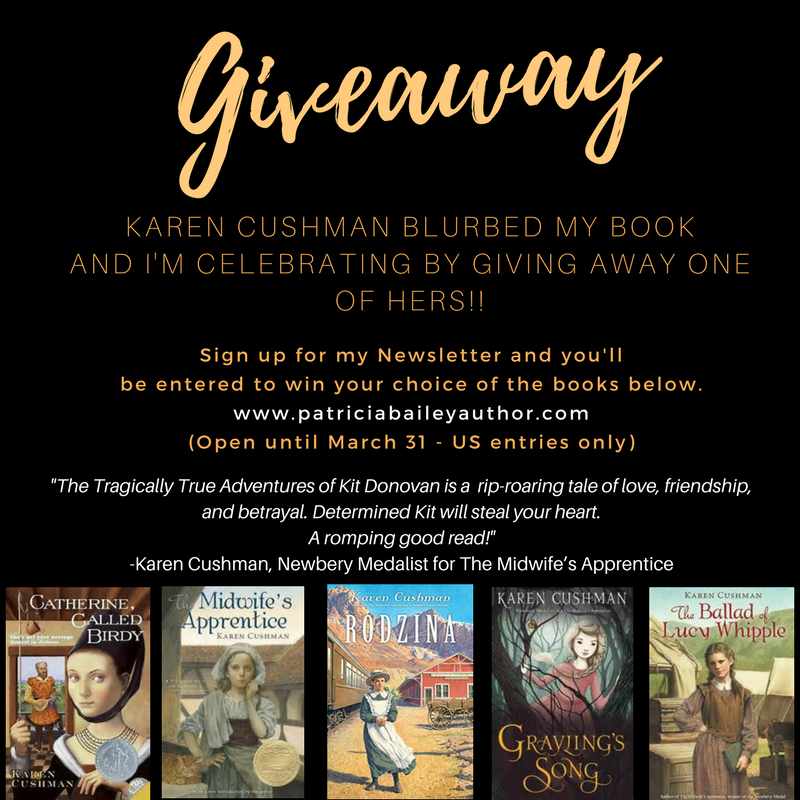 The Tragically True Adventures of Kit Donovan officially launches at the end of the month – which means, it’s time for a Goodreads Giveaway! 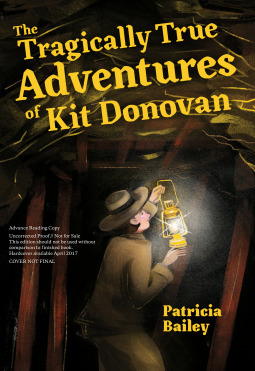 Goodreads is giving away 4 signed Advanced Reader Copies of THE TRAGICALLY TRUE ADVENTURES OF KIT DONOVAN. All you have to do is head on over to Goodreads and enter. Giveaway ends April 22, 2017. 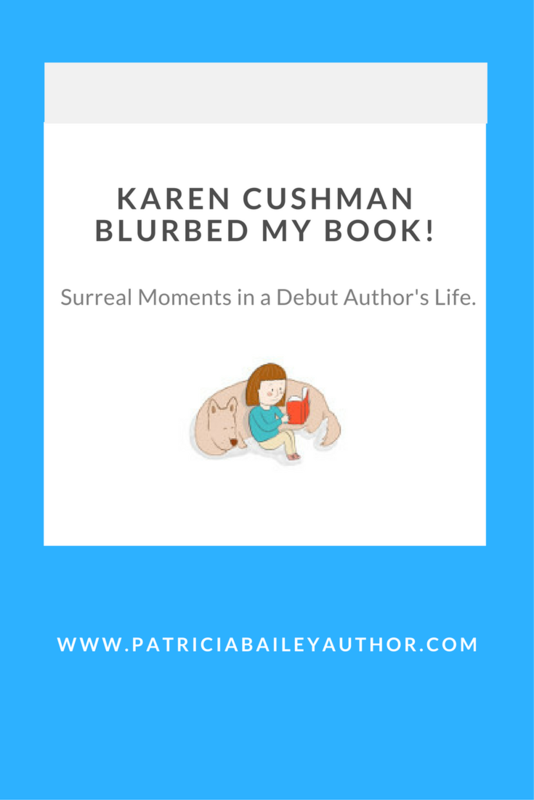 Karen Cushman blurbed my book!! *Imagine me repeating that quietly over and over again – because that’s pretty much what I did when I got the email – for days. Way back when I first signed my contract, my agent mentioned that she knew Karen and that she was going to send her an ARC when the time came. For months, I tried not to think about the fact that sometime in the future, my little book would be on Karen Cushman’s TBR pile. It was just too unreal to fathom. It’s still too unreal to fathom. So imagine how surreal it was to read what she had written about it once she was finished reading. The Tragically True Adventures of Kit Donovan is a rip-roaring tale of love, friendship, and betrayal set in the gold mines of Nevada. It’s chockablock with bad guys and good guys, mysteries and deceptions, dangers and disasters. The bad-tempered, outrageous, courageous, and determined Kit will steal your heart. This is a romping good read! 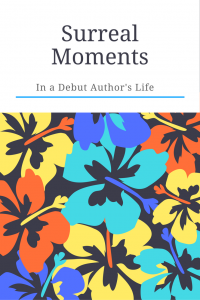 She actually wrote that down – about my little book! This is the stuff writers’ dreams are made of! Because THE Karen Cushman only blurbs your debut novel once in a lifetime, I’ve decided to celebrate with a contest. Simply sign up for my newsletter (there’s a subscribe button at the top right of this post) and you will be entered to win one of the legendary author’s books. I promise you, they are all “…romping good read(s).” And, as fate (and surreal moments) would have it, Catherine Called Birdy actually served as inspiration for THE TRAGICALLY TRUE ADVENTURES OF KIT DONOVAN from the moment I started writing it. It’s almost as if Catherine and Kit have come full circle. That’s some writerly magic right there.